A beautiful collection of one and two bedroom retirement apartments in Bridport. Discover Alfred Lodge now. Apartment 23 - 1 bedroom, first floor apartment. 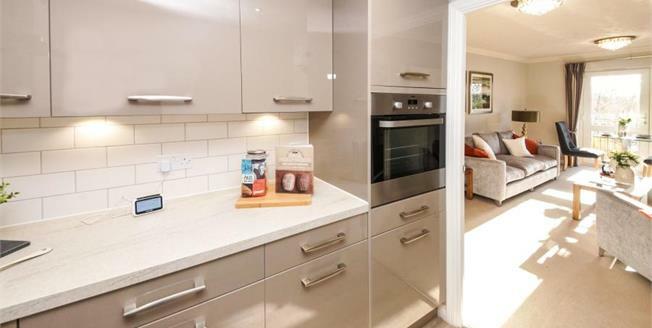 This beautiful retirement development of one and two bedroom apartments enjoys an unrivalled, central location, close to all essential amenities and public transport. Alfred Lodge comprises 26 apartments and includes an Owners' Lounge with built-in coffee bar, creating the perfect location for socialising with like-minded neighbours. Overlooking the beautiful Millennium Green, the development enjoys a tranquil location whilst remaining within easy reach of the local shops, restaurants and amenities, so you can enjoy an independent, active retirement. Please note: The floorplan shown serves as an example only. To see a plot-specific floorplan, please speak to the Sales Consultant at the development. Photos displayed are of various apartments and communal areas at Alfred Lodge to give you an understanding of the product available. Individual plots are available for viewing by appointment.